The design and landscaping of a variety of colourful and exciting gardens "fit-for-a-castle". 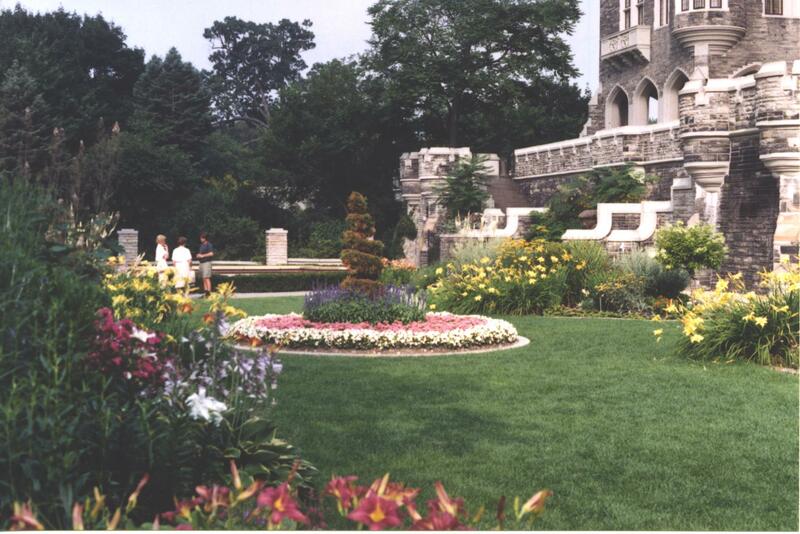 1987 was a banner year for the GCT with a $1.5 million commitment to the renovation of the gardens at historic Casa Loma. Six acres of varied terrain and growing conditions allowed the creation of diverse garden areas, each with a unique design and focus. From fountain splashed and perennial bordered terraces to quiet wild flower woods, this comprehensive project features an abundance of magnificent plantings, many rare and unusual to the area. The gardens officially opened in 1990.